Come to the Club between midday and 5pm for those last minute Christmas gifts. 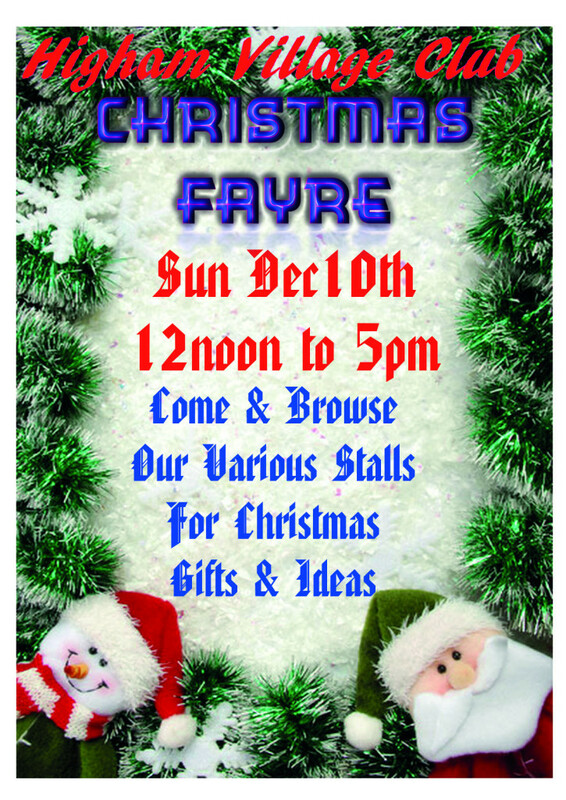 We are running our own Christmas Fayre with many stalls selling Christmas gifts and goodies. We have Father Christmas coming to the Club and mum's and dad's why not have a mulled wine and mince pie whilst the children visit Santa.